Welcome to Balance Transfer Expert. We are an independent, free to use website and provide a comparison service for every 0% balance transfer credit card that is currently available online in the UK. Balance Transfers Explained:- Balance transfers can be defined as the process of moving an existing credit card balance from your current credit card to a new credit card, where typically the new credit card charges 0% interest on the balance for a limited time introductory period. After this 0% introductory period has ended the credit card company will then charge any outstanding balance remaining on the card at a higher standard rate of interest. This standard rate will often be a representative 18.9% APR variable, or higher. When a credit card customer transfers the credit card balance in this way by making a balance transfer, they are usually aiming to save money by paying no interest during the 0% introductory period. A £5000 balance transfer is when a customer transfers a balance of £5000 from one credit card to another credit card. The new balance transfer card will often have a 0% interest rate for an introductory period. 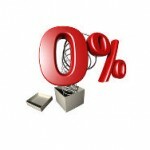 This 0% rate on the new card, can allow the customer to save money by paying less interest. What kind of balance transfer deals for existing customers are available in the UK in 2019? Currently, there are two different types of 0% balance transfer deals for existing customers. The first type of balance transfer deals for existing customers are offered by all of the main banks. The former building societies, which issue 0% balance transfer credit cards in the UK, also offer these types of deals.. The promotional offers on the HSBC balance transfer credit cards have now changed, with effect from 28th February 2019. The HSBC balance transfer credit card now offers new customers 0% interest for 28 months on balance transfers, with a 1.4% balance transfer fee (minimum £5) and a representative 21.9% APR (variable). This card had previously offered a longer 0% for 32 months offer on balance transfers. 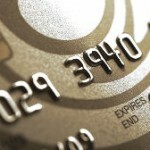 There are two Nationwide balance transfer credit card offers now available in the UK. The Nationwide balance transfer offers on these Nationwide balance transfer credit cards are now are just for members. You are a member when you have a current account, mortgage or savings account with Nationwide. A balance transfer from American Express credit cards can often be slightly more difficult, than many other types of balance transfers. 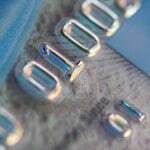 An AMEX balance transfer in the UK, can often fail due to the 15 digit card number on an American Express card. 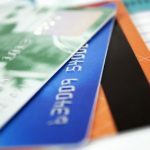 In recent months, we have seen an increasing number of questions on the topic of a balance transfer from American Express. What are the MBNA balance transfer existing customers offers? Are there any MBNA existing customer balance transfer deals? What are the current MBNA offers for existing customers? All of the above are popular questions on the topic of a MBNA balance transfer for existing customers. We have seen an increase in the number of UK customers looking for answers on this subject, over recent months.